The club is FREE for all ages (adults and children alike!) and hopes to give everyone an opportunity to meet other trainers who they may not meet otherwise. The club is a mix of casual and experienced players and there will be something for everyone to get involved with and even learn. So whether you want to complete your Pokedex, learn to battle or looking to talk about the game, come along! IMPORTANT INFO—Trainers will need to bring their own games devices, though it is the owner of the devices responsibility to keep their device safe. Children under 8 must be accompanied by an adult at all times. 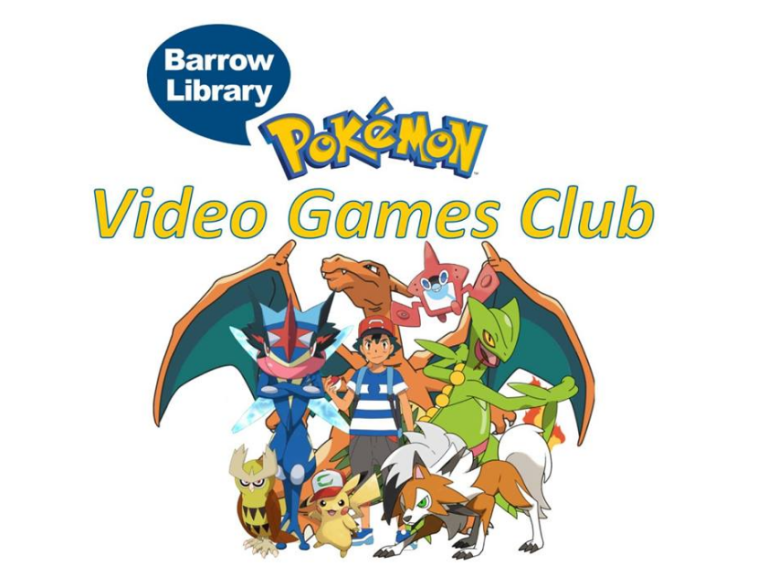 To join contact Barrow Library either by direct message, calling them on 01229 407373 or email christopher.pease@cumbria.gov.uk for further information.